Get ready to paint the town purple! 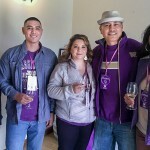 Gather with fellow Huskies for food, fun and friendship while we explore wineries and tasting rooms that have a UW connection. 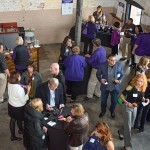 The weekend kicks off Friday evening with a wine reception in the historic Gesa Power House Theatre. On Saturday, enjoy a casual wine tour featuring tasting rooms that are owned, founded or managed by Husky alumni. Join the pack for both events, or just pick one. Tickets are $20 for each event, $15 for UWAA members (must be 21 and older, please bring valid ID to ensure entrance to each event). Friday, April 26, 5–7 p.m. Reception ticket includes a glass of wine and appetizers. Hear from Sean D. Sullivan, the UW Dean of Pharmacy, and Damon Huard, ’95, who partnered with former Miami Dolphins teammate Dan Marino to create Passing Time Winery. Wine by Tempus Cellars and Passing Time Winery. Additional glasses of wine available for purchase. 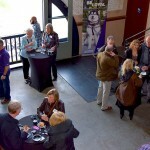 Saturday, April 27, 11:30 a.m.–5 p.m.
Tickets include tastings at Husky-owned and operated tasting rooms. Explore at your leisure! Wine purchases made at designated Husky stops will be picked up and delivered to the Courtyard Marriott at the end of the tour. 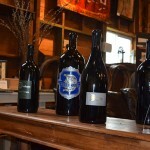 Wineries include Browne Family Vineyards, Cadaretta Wine, Dunham Cellars, Otis Kenyon Wine, Passing Time Winery, Seven Hills Winery, Spring Valley Vineyard and Tempus Cellars. Please note that rooms at the Courtyard Walla Walla are sold out. 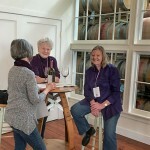 Wine Tour Transportation: Shuttles will run from three convenient stops during the event. Some wineries might require a five to 10 minute walk from the nearest stop, so weather-appropriate clothing and comfortable shoes are highly recommended. 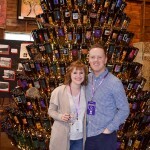 We encourage responsible wine touring and recommend that you utilize the provided shuttle service, make arrangements with a local cab company or that you have a designated driver.